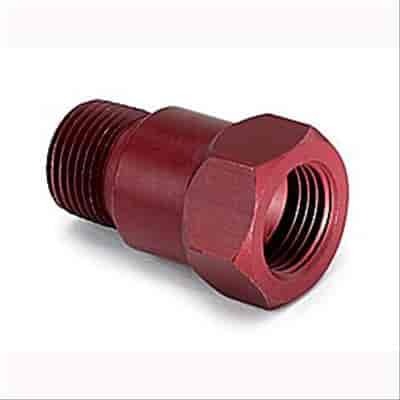 2272 - Auto Meter Adapters, Extensions & Fittings is rated 5.0 out of 5 by 1. Rated 5 out of 5 by RS1979 from Perfect description I looked everywhere for this fitting and couldn't find it. Jegs had it at a great price plus free shipping!! No better place to buy performance parts. The thread size will be 3/8&quot; on this extension fitting.